Organic. Create, discover and be epicurious. Delicious in soups, casseroles and salads. 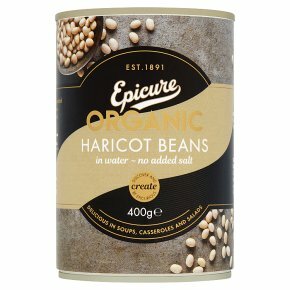 Our Organic Haricot Beans are carefully selected for their delicate flavour and buttery texture. Add to any stew for the perfect comfort food.